World Leading Schools Association (WLSA), the international education non-profit connecting leading secondary schools around the world, announces its UK partnership with Oundle School and Millfield School, to host the annual College Admission Network (CAN) Conference. Deans of Admissions from prestigious US Universities will form the panel at this year’s CAN Conference and will bring forward-thinking, actionable and personal stories to the audience on a wide variety of topics including, life on US University Campus, the selective admission process, college counselling and transitioning from secondary school to higher education. 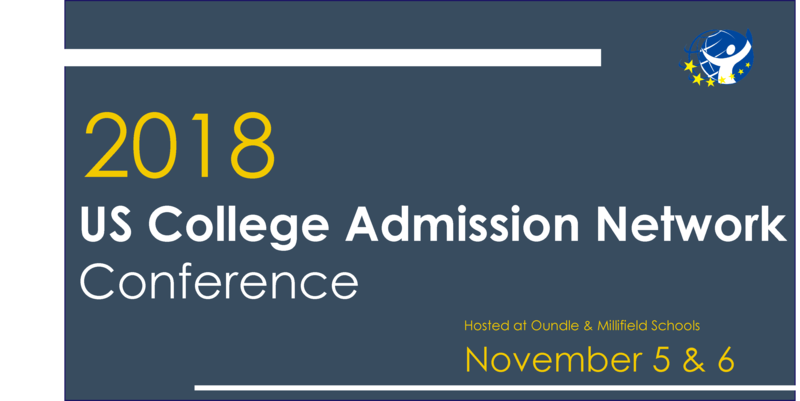 The CAN conference is an important event in the academic calendar as it provides a platform for students, parents and schools to understand how to navigate through the selective US higher education admissions process. The CAN conference fosters global interaction between leading schools allowing international education to be more accessible. The conference will take place on November 5 at Oundle School from 14:00 – 17:30 and Millfield on November 6 from 12:30 – 15:45. The World Leading Schools Association is a member driven, international education non-profit connecting leading secondary schools around the world to further cultural understanding. WLSA does this by promoting the exchange of innovative ideas and experiences at both the student and school leadership level, approaching multi-cultural understanding in a holistic way through conferences, exchanges and trainings. WLSA aims to create responsible global leaders by introducing students to cultural differences in the world at a young age, providing the experiences to succeed and empathize in an international market. Oundle School is one of Britain’s leading co-educational boarding and day schools situated in the charming market town of Oundle, Northamptonshire, about 90 miles north of London. The third largest independent boarding and day school in England, Oundle has 860 full boarders and 250 day pupils. Oundelians are increasingly looking across the world for the best higher education opportunities. Oundle offers comprehensive preparation for admissions to university in the United States, with around 10 pupils taking up places in the US annually. The school also nominates pupils annually for three highly competitive scholarship competitions in the US: Jefferson Scholarship at the University of Virginia, Morehead-Cain Scholarship at the University of North Carolina and the Robertson Scholarship at Duke University. We pride ourself on providing an exceptional, all-round education that enables each child to try everything on offer, to find out what they really enjoy and are good at. The capacity to engage pupils at many different levels is central to life at Millfield and we offer countless opportunities across many different learning contexts both inside and outside the classroom. Talented and committed staff work with our pupils to achieve these ends. The school is grounded in the strength of relationships that are the bedrock of all great communities. Millfield is tremendously diverse in terms of the academic, cultural and sporting backgrounds of its pupils, and we celebrate this diversity.